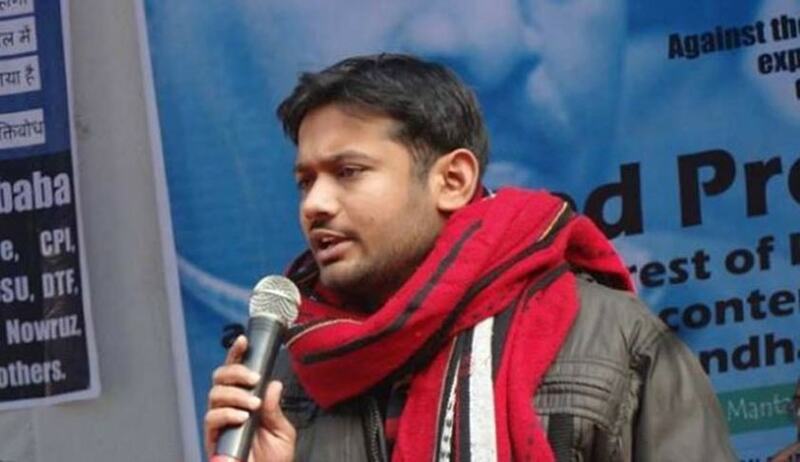 Jawaharlal Nehru University Students' Union(JNUSU) President Kanhaiya Kumar today moved Delhi High Court for bail. The Application is moved by Advocate Vrinda Grover and Sushil Bajaj before the Delhi High Court pursuant to the Supreme Court direction. “The High Court’s Registry sources said the case will not come up for hearing on Friday. Mr. Kumar’s lawyers Sushil Bajaj and Vrinda Grover first mentioned the petition before the High Court’s Registrar (Listing) Loren Bamniyal and later filed additional papers with the bail plea. According to IANS, his plea is likely to be heard on Monday. The lawyers arrived in the High Court with a huge posse of policemen following the apex court’s directions to the Centre and Delhi Police to ensure proper security arrangements for them on the High Court premises”. Earlier Today a two Judge Bench of the Supreme Court had refused to entertain the Bail Application filed by Kumar under Article 32 of the Constitution of India. The Bench comprising of Justice Chelameshwar and AM Spare asked the lawyers ‘why didn’t you approach the Delhi High Court?” Solicitor General Ranjit Kumar argued that there was no safety issues in Delhi High Court. He questioned the maintainability of the Petition under Article 32 of the Constitution on the ground that the alternate remedy was available for the Petitioner. The Supreme Court directed to move the Petition to Delhi High Court and directed the High Court to consider the Application expeditiously.